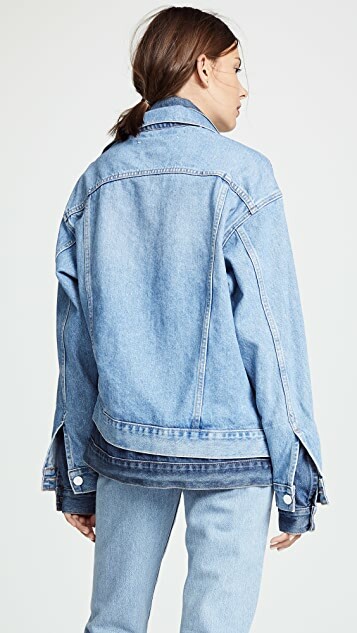 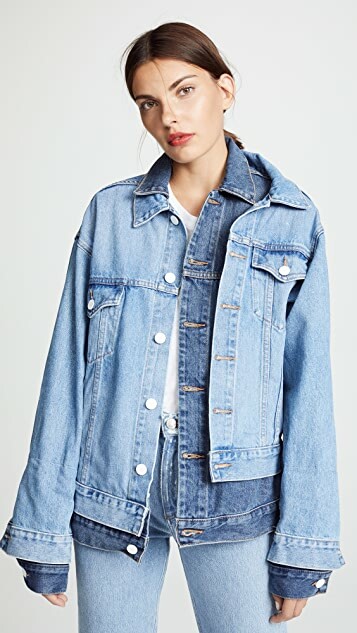 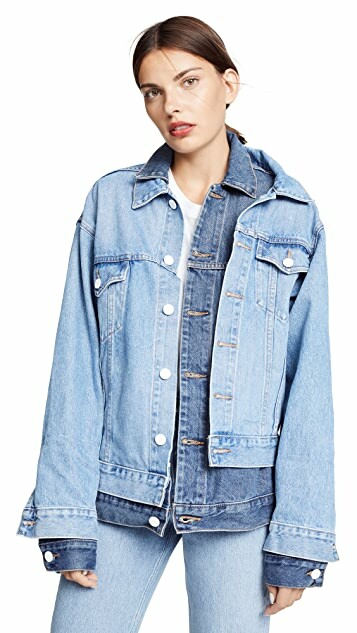 This totally cool, two-tone Monse denim jacket has a layered effect that, when paired with your favorite jeans, takes on a bit of a head-to-toe vintage look. 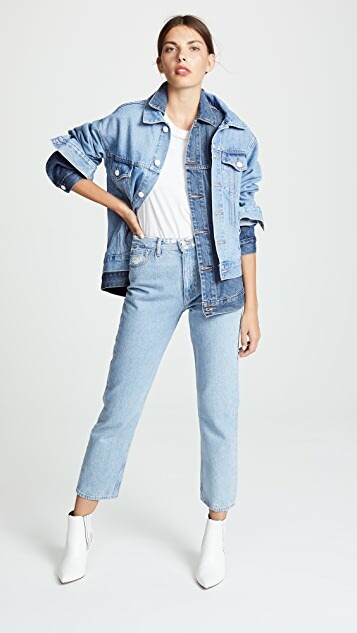 Oscar de la Renta alums (and long-time couple) Laura Kim and Fernando Garcia launched womenswear line Monse for spring 2016. 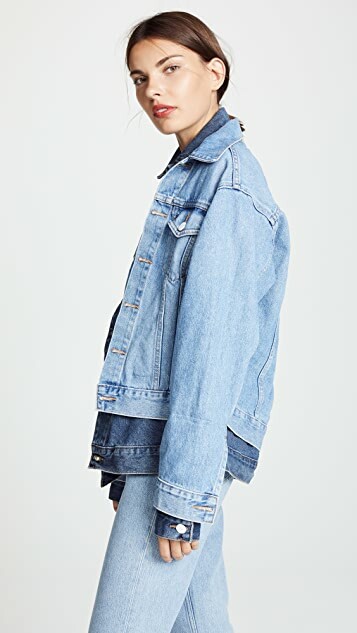 The core collection is built with youthful, yet sophisticated sensibilities, offering a balance of tailored pieces and deconstructed designs. 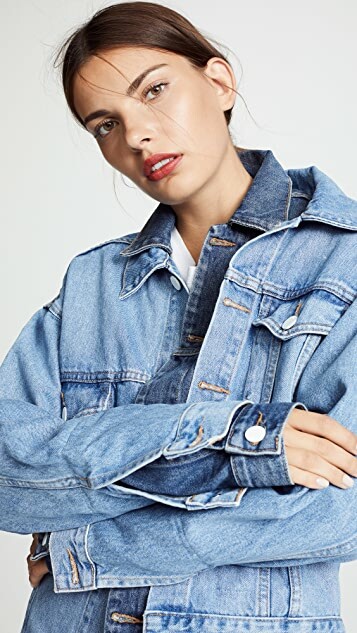 Monse apparel and its designers have quickly gained recognition for offering an elevated take on casual staples and striking reinterpretations of day-to-night pieces.